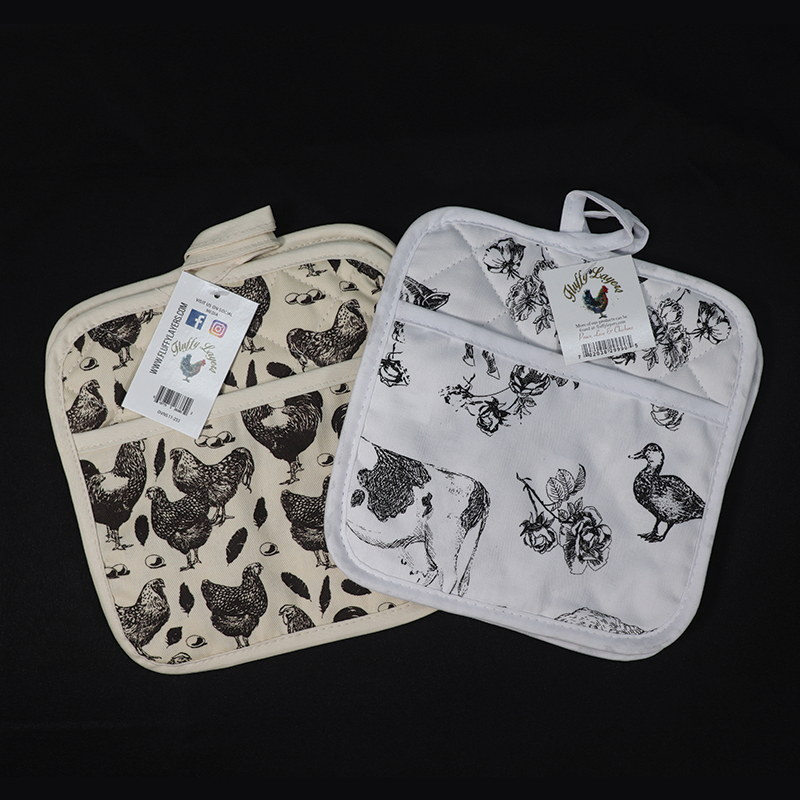 These pot holders from Fluffy Layers make a perfect gift for any chicken lover! 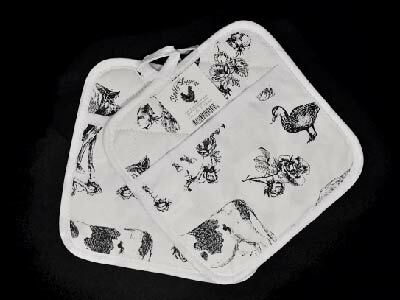 Farm Print Pot Holders are black and white. Set of 2 Pot Holders.